There lies great power in having a clear-cut vision for your hotel and sharing it with your team and the world. A vision or purpose can be challenging to define, and it's sometimes easier to start with all the things you are not. By knowing who you do not want to be, you will have a better idea of who, what and where you want to be, and once this is defined, make sure you always stick to it, even if people question you. No-one has time to fiddle around with fussy appliances or spend hours trying to figure out how to operate a lighting system that looks like the command center for a small space shuttle. When selecting what makes it into your rooms, especially concerning electronics, always think of what your guests will need and how they will be using these. You'll probably find that an additional power point placed somewhere accessible will be more appreciated than 200 possible lighting settings. Functionality also holds for your Wi-Fi. Sure, you may have a system that can direct guests to your website once they’ve signed in, but is this necessary? You might think of it as brand building, but the extra effort and frustration it causes for guests are far more likely to have the opposite effect. What's wrong with offering Wi-Fi in the way that your guests would like to use it? A simple password to a Wi-Fi network that won't disconnect every time you walk away from the laptop. It's in the silent moments that people find comfort and rejuvenation, and in today’s fast-paced life, a good night's rest can be one of the most luxurious things in the world. As the ancient Chinese philosopher, Laozi said, “Silence is a source of great strength.” Promise guests a good night's rest. With all the new technology in construction and soundproofing, there's no reason why your guests should have to hear the amorous adventures of the couple in the next room. The same applies to public spaces – avoid distracting music and audio ads that detract from your guests’ overall experience. When guests have specific requests, avoid sticking to your standard “one-size-fits-all” solutions, and rather put in a little extra effort to understand exactly what they want, then make sure you deliver. For example, a single traveler looking for a place to dine "en toute seule", would probably prefer a place that offers counter dining or a lively environment where they won't feel uncomfortable sitting alone. Likewise, a guest wanting to try an authentic version of a specific local dish will appreciate your favorite hole in the wall much more than the tourist trap recommended by travel guides. 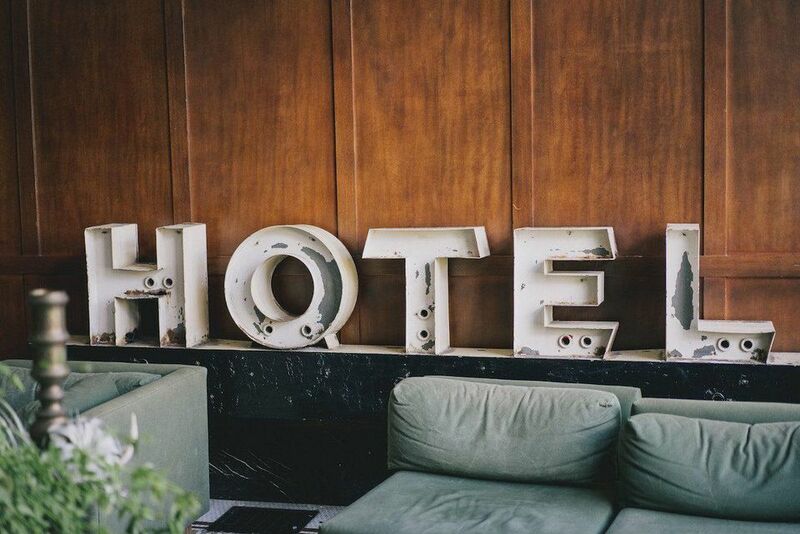 Quality trumps quantity, and when it comes to guest amenities, less really is more. By carefully considering which items you place in the room and which are available on request, you may find that you can offer guests more value while reducing unnecessary wastage. Curate all in-room placements by selecting products that will align with your brand. Since many luxury guests choose to travel with their own preferred skincare products these days, opting to offer them a unique, locally-produced body wash might be just the thing you need to leave a lasting impression. The devil is in the details, and it is these small things that complete the experience and resonate with guests. Once you’ve chosen a design direction, make sure you stick to it throughout the hotel. The same applies to your communication, especially printed material in different languages. As much as guests appreciate instructions in their home language, having spelling or grammatical errors can portray your brand as a rookie and potentially do considerable damage. People love knowing that you recognize them as individuals and that their business is sincerely appreciated. Surprisingly most businesses still don't get this or how to do this. It doesn’t mean you have to place complimentary bottles of Ruinart in each room – a simple gesture like a personalized welcome note can go a long way. If you had just a simple CRM system in place, you could also show returning guests how much you value them by referencing a request from their previous trip and asking if you can assist with something similar. This gesture immediately shows your guests that they are not “just another number” in your establishment. Excellent hotel staff is one of the essential elements of any successful establishment. They are the human connection to your establishment. Because of this, it's essential to ensure there is a natural fit between them and what your hotel offers. It is crucial to empower your people to take ownership and be able to act when something is required of them. Over the last couple of years, more and more hotels have been tapping into the trend of travelers seeking transformation -- whether it be physical, mental or spiritual. If your guests can leave feeling different from when they arrived, even if it is just little looser, then you will leave them wanting more. These transformative experiences could range from connecting with locals, enjoying the authentic city offerings or merely a good old fashioned spa day to loosen away from the stress they walked in with. The avenue of transformation doesn't have to be revolutionary; even small interactions can mean significant changes for individuals . When was the last time you went down to the hotel bar as a solo traveler and was able to speak to someone, learn more about their world, exchange details and even kept in touch when later visiting each other's cities? In these fast times, people crave connection, and anything that can facilitate this will be more likely to be embraced. Tinder, co-working spaces, communal tables and the rise in popularity of bingo nights are all proof of this. Failure to evolve with the ever-changing needs and demands of contemporary consumers may very well lead your brand to the brink of extinction. To avoid this, always keep an eye out for things that may impact your operations, be it alternative accommodation options, changing travel trends or new offerings launched by your competitors. Just be careful not to embrace fads – a personal robot in every room might sound like a good idea now, but this type of technology is not ready for mass adoption yet. One surefire way to get your guests to return is to hint at something you offer that they have yet to discover, without giving too much away.